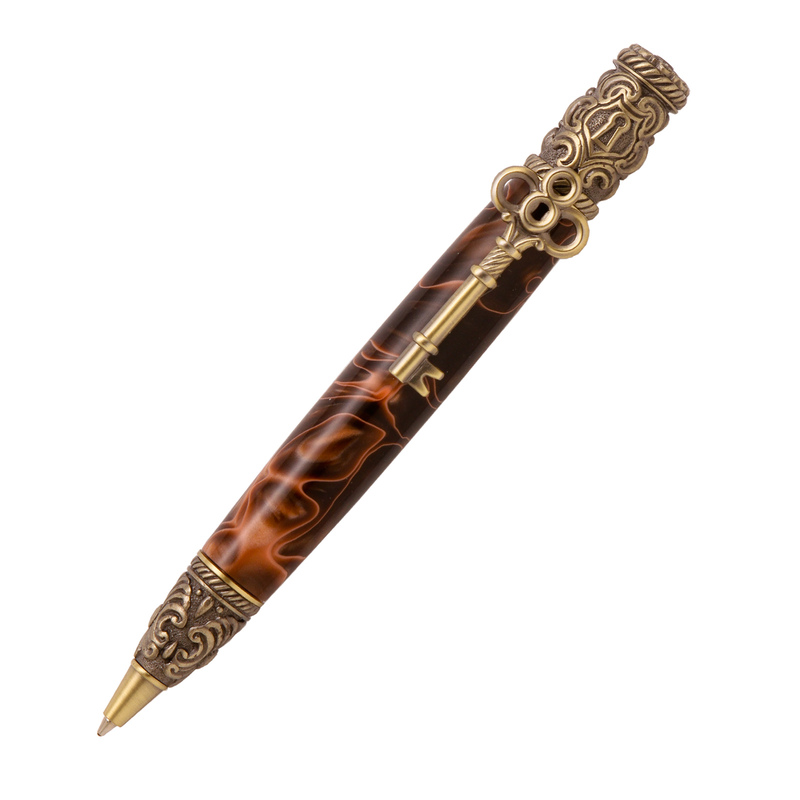 Skeleton Key Antique Brass Twist Pen [PKSKEYAB] - $58.35 : AnkleBiter Woodworks, When all else fails, send in the dacschund! This classically designed pen is based on the idea of a skeleton key - used for over two thousand years. The keys were able to open a large number of doors with locks which that similar enough for the key to work. These locks were designed centuries ago, and were widely used until the early twentieth century. Many old fashioned skeleton keys were made during an era when elaborate metalwork was prized, so we've created a skeleton key pen clip with intricate decorations and ornamental flourishes. Smooth writing performance with a Parker style refill. Plus, The rustic, authentic look of this antique brass will pair beautifully with any wood blank. We've taken quality brass plating and chemically darkened it to simulate aged brass, which results in a gorgeous, long lasting brown plating with golden undertones.